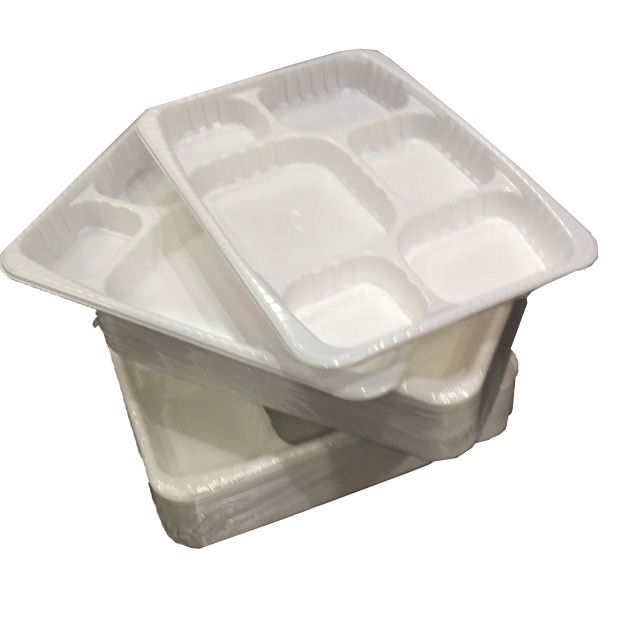 400 x heavy duty '6 compartment' white plastic plates. These are heavyweight plates designed for use at functions, weddings etc and suitable for all types of food. They compartments are 30mm deep. The plates are extremely thick and made from high quality plastic. The size of the plates is 9x12" (230x310mm). These plastic plates are often called 'thali' plates, or gujarati/panjabi disposable plates. They are cellophane packed in 25's, with each pack of 25 weighing approximately 1.14kg (approx 45g per plate). These plates are perfect for functions, birthdays, weddings, anniversaries etc and will not collapse or 'dig in' when heavy food is placed in them.